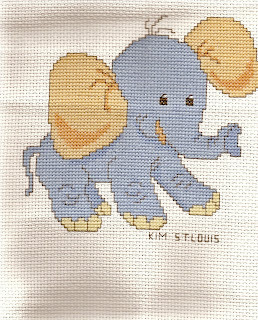 This is the blue elephant that I made with a group of wonderful stitchers to be made into a Noah's ark quilt. All the people making squares belong to every stitch counts at yahoo. Isn't he cute?? ?